Watch our latest videoclick here! CP Manufacturing has been the World Leader in Separation Technology for nearly 4 decades. 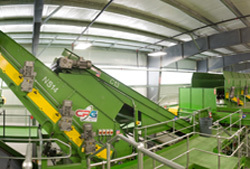 We have been designing and building systems and equipment for the recycling and waste industries since 1977. Internationally, we have designed, manufactured and installed over 400 material recovery facilities. We are leading the industry in innovative material separation technology, recognized for our superior engineering, equipment innovation and durability. We pride ourselves on making you successful, offering continuous customer support no matter the scope of your project. 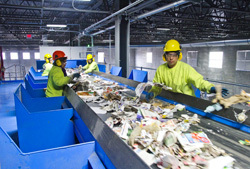 If you are looking for a partner who can provide state-of-the-art, turn-key solutions for your material recovery facility, Trust the Leader. 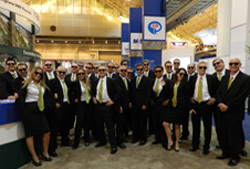 Each year we attend numerous tradeshows and conferences. We would love to see you! Click here to see our upcoming events. I have been working with CP for a little over a decade and continue to work with them because of the responsiveness of their team and the effectiveness of their equipment. Whether it was collaboration on the design or incorporating suggestions, CP always valued my ideas and incorporated them whenever possible into the design which ultimately culminated in an excellent facility. We discussed raising the bar on industry safety and I believe CP has. We take great pride in shipping out clean end-products, and CP helps us achieve that. CP has displayed the kind of attitude and acceptance of ideas that allowed us to build the type of relationship we need to keep moving forward and achieving our goals. CP’s corporate policy of openness and willingness to listen to customers and industry partners is a key factor in their success in building a system that has, over the years, continuously improved worker safety and efficiency. I know and can see how much the entire CP team cares about our success. I’m very impressed with their customer service and training that they supply to ensure a facilities successful start-up and long-term operation and maintenance.